Providing trusted new and used car sales and used car exports at West Coast Car Mart since 1994. They spare no expense during the restoration process, as they will only offer cars to consumers that they find acceptable. 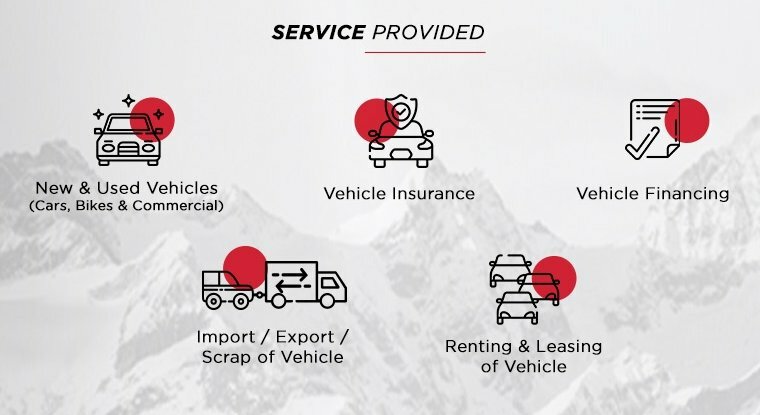 Apart from this, they also ensure pricing is at a competitive market rate as well as offer advice on car maintenance and quality after-sales service. As a family-owned business, everyone has the best interests of the company at heart. 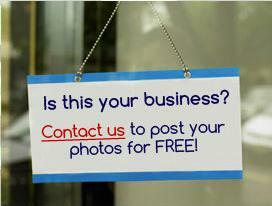 Hence they are always welcome to speak to their customers. 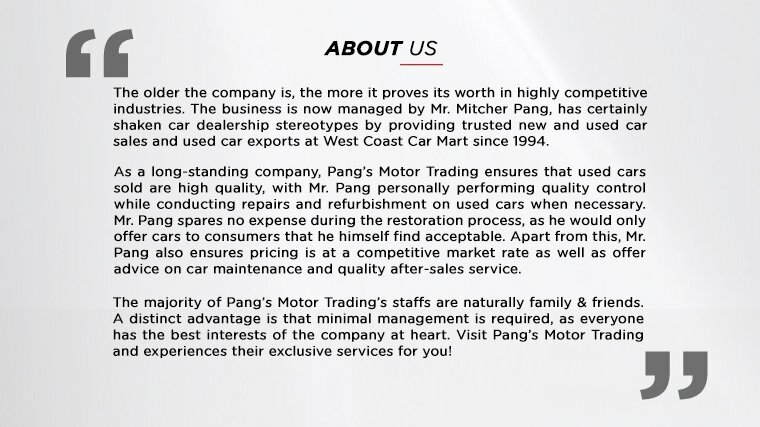 Visit Pang's Motor Trading and experience their exclusive services for you!